Fox farming began on Prince Edward Island, Canada. One of the pioneers was Sir Charles Dalton, who had a farm in Tignish. In 1912 he set up a new venture near Charlottetown, the Charles Dalton Silver Black Fox Company Limited, to which he would transport foxes from Tignish. 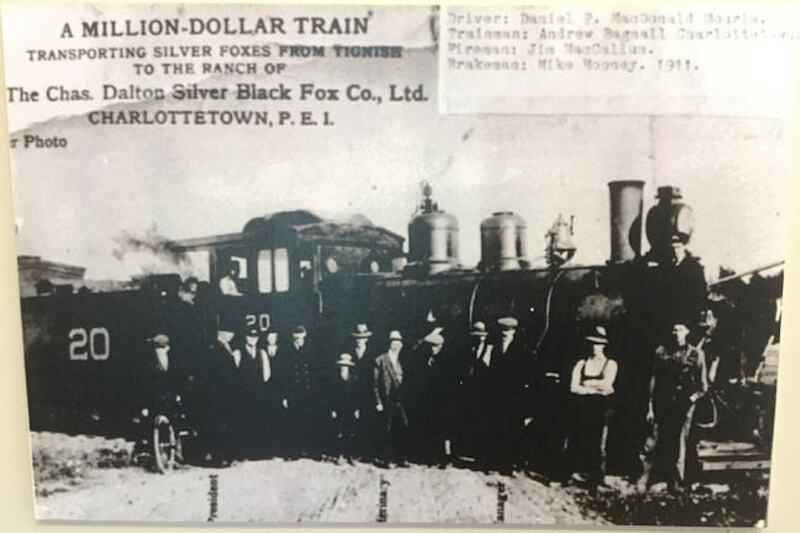 The fast-growing fox industry on the island was riding so high by then that the train carrying stock from Tignish was dubbed the “Million-Dollar Train” in the local papers. Photo: Courtesy of Alberton Museum. A personal voyage to the origins of fox farming. By Alan Herscovici, September 23, 2015.